Serve 6-8 as a tapa, or 4 as a main course. Preparation Time Note: If preparing the dough from scratch, allow an hour for mixing and rising. If preparing the tomato sofrito sauce from scratch, allow 15-20 minutes cooking time. Prepare pizza dough, or purchase pre-made dough. Cook the tomato sofrito sauce, or use prepared pizza sauce. Heat oven to 400°F (200°C) degrees. 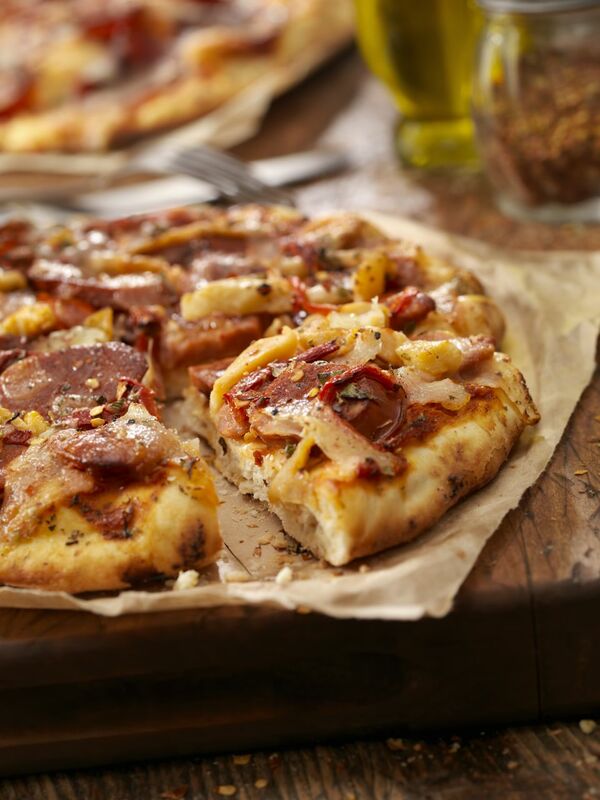 Divide pizza dough into 8-10 pieces and roll out on a floured board (approximately 6-inch rounds). Transfer to pizza stones or cookie sheets. Slice roasted peppers into long strips. Slice the Spanish chorizo sausage into thin rounds. Cut slices of Serrano ham into pieces no larger than 2-inch squares. Using a spoon, spread out the tomato sauce evenly over the small pizzas. Sprinkle the cheese, Serrano ham, chorizo sausage and other toppings on the pizzas. Bake in oven for 10-12 minutes, until crust is lightly browned and cheese is bubbling. Remove and cut into quarters. Serve warm.